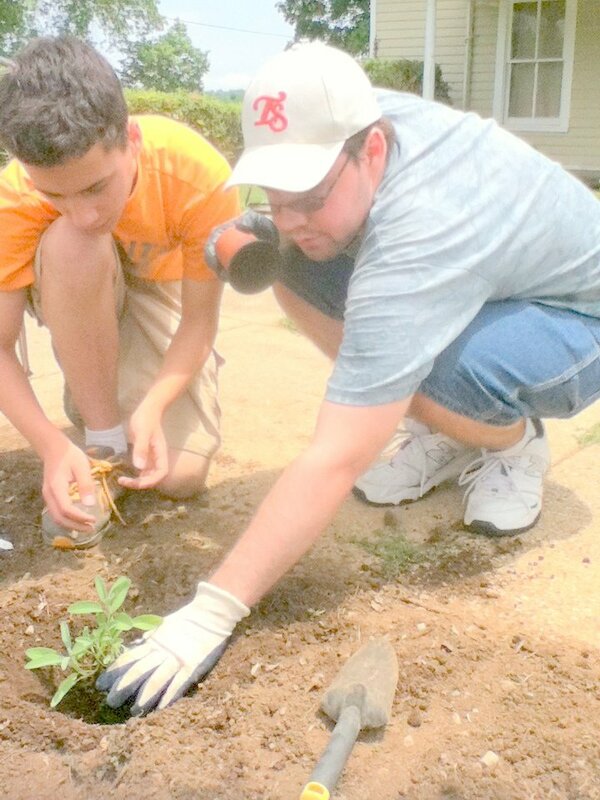 Hidden Treasures Academy, Inc. is a private, post-secondary educational program for high-functioning adults with intellectual disabilities. In their program, they combine applied academics, job-skills and life-skills classes with social and recreational activities while nurturing individual and spiritual growth to students within their program. Not only do students discover the hidden treasures within themselves, but they also have the opportunity to share those treasures with peers and others within our community. One of those community opportunities comes by way of a partnership with the UT Extension Institute of Agriculture, All Saints Episcopal Church and a few of the Morristown Master Gardeners as they develop a Horticulture Certification Program exclusively for HTA students. This hands-on program will expand student’s knowledge, skills, and enjoyment of horticulture. The purpose of the program is to build entry-level skills needed to further career opportunities for each student. ADA approved beds will be built on All Saints Episcopal Church property this fall and planting will start Spring 2016. Funding for this program has been provided in part by grants from the Morristown Task Force on Diversity and the Modern Woodmen of America Fraternal Financial.